First colonized by Don Juan de Oñate in 1598, the Texan city of El Paso has a distinctly Spanish feel. Despite becoming US territory in the 1840s, most El Paso residents speak Spanish as their first language. This shouldn’t come as too much of a shock, however, considering El Paso’s location alongside the US-Mexico border. Although bigger cities like Dallas and San Antonio are more popular with tourists, people traveling to El Paso will find plenty of interesting things to do and see. Let’s take a peek at ten exceptional attractions you must visit on a trip to El Paso. Nature enthusiasts must plan a visit to El Paso’s Franklin Mountains State Park, which is about a 30-minute drive north of the city center. Measuring almost 25,000 acres, Franklin Mountains State Park offers plenty of opportunities for mountain biking, hiking, and camping. 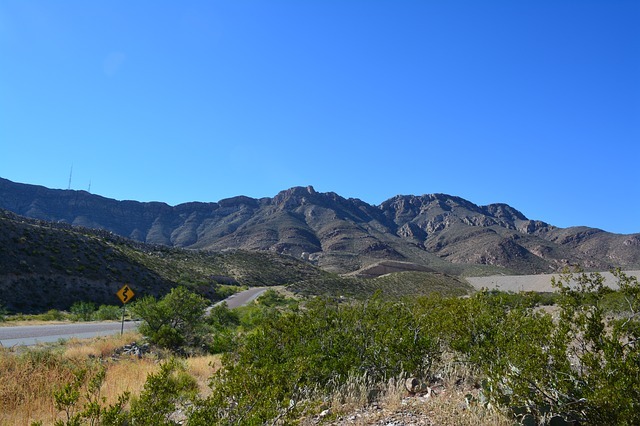 Since this park is within the Chihuahuan Desert, expect to find plenty of desert flora and fauna including cacti, cottonwood trees, and even the occasional golden eagle. For those who want to reach the highest summit in this park, hike to the top of the 7,200-foot tall North Franklin Mountain. Other popular hiking trails include Anthony’s Nose and South Franklin Mountain. Usually, the Franklin Mountains State Park is open between 8:00 AM – 5:00 PM every day of the week. Headquartered in El Paso, the Fort Bliss Army Base actually straddles the border between New Mexico and Texas. Although construction is still ongoing, Fort Bliss holds the title for the largest of its kind in the continental USA. Fort Bliss has a museum located between Pershing and Pleasanton Roads that tells the complex story of the US Military’s history in the region. You can go on a tour of Fort Bliss, but you must schedule your visit well in advance. While you’re in the area, be sure to browse a few of the military surplus stores. 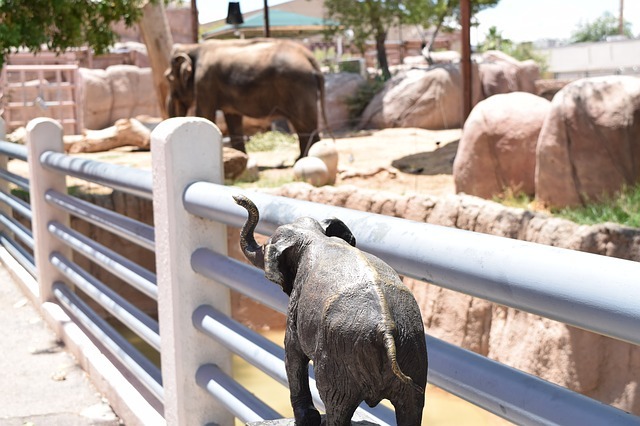 Anyone traveling through El Paso with children should plan on spending a few hours at the city’s impressive 350-acre zoo. Of the over 200 species inside the El Paso Zoo, a few fan favorites include the endangered Amur leopard, giraffes, meerkats, and orangutans. In addition to visiting the zoo’s animals, visitors can take a trip on the zoo’s African Star Train and kids can have fun in the Foster Tree House Playground. The El Paso Zoo is open between 9:30 AM – 5:00 PM every day of the year except Thanksgiving, Christmas, and New Year’s Day. Tickets can be purchased at the door or online. Anyone who’s a fan of the mythos of the Wild West should take a trip to El Paso’s Concordia Cemetery. Here you’ll find the final resting places of some famous names from Texan lore including outlaw John Wesley Hardin, Hardin’s murderer John Selman, and Mexican revolutionary Pascual Orozco Vázquez. Besides seeing gunslingers from the past, the Concordia Cemetery is a great place to learn about El Paso’s community. For instance, the Concordia Cemetery is the only one in the Lone Star State with a special plot dedicated to Chinese railroad workers. There’s also a special area here for children who died due to the 1918 influenza outbreak. 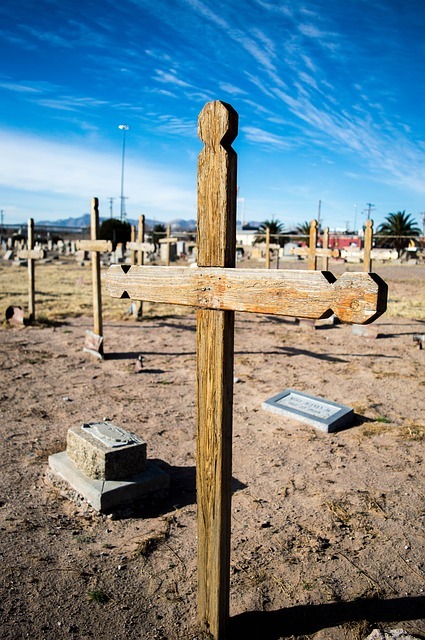 As you tour the over 60,000 graves in this cemetery, you’ll learn a great deal about El Paso’s fascinating past. Obviously, the El Paso Museum of Art is the best destination for art lovers. This museum has an incredible collection of over 50 European paintings, many from the High Renaissance, thanks to the generosity of businessman Samuel H. Kress. A few artists whose works are prominently featured in this collection include Sano di Pietro, Lorenzo Lotto, and Filippino Lippi. While the El Paso Museum is most noted for its European collection, it also has many fine works of traditional Mexican art as well as Modern installations. Standard operating hours for the El Paso Museum are from Tuesday through Saturday from 9:00 AM – 5:00 PM; Thursdays from 9:00 AM – 9:00 PM; and Sundays from 12:00 PM – 5:00 PM. There’s no more historic venue in El Paso to watch a live show than the Plaza Theater. Originally built in 1930, the Plaza Theater is still the center of El Paso’s performing arts scene. Nowadays, this theater is best known for hosting professional touring companies of the hottest Broadway shows. The Plaza Theater is also the official center for the El Paso Symphony Orchestra and it welcomes big-name comedians throughout the year as well. Definitely check what’s going on at this theater before booking your trip to El Paso. Are you looking for a fun time while in El Paso? If so, then head on over to the Sunland Park Racetrack and Casino. Whether you want to play some slots, get some grub, watch a race, or enjoy world-class entertainment, the Sunland Park Racetrack and Casino has something for you. Be sure to check Sunland Park’s website for upcoming events so you’ll know everything that’s going on here before visiting. This casino is open from 10:00 AM – 1:00 AM Sundays through Thursdays and from 10:00 AM – 4:00 AM Fridays through Saturdays. One of the most historic sites in El Paso is the Chamizal National Memorial. Now owned by the National Park Service, this memorial area commemorates a significant border dispute between leaders in Ciudad Juárez, Mexico and El Paso that took place in the 1850s. Thankfully, the Mexicans and Americans were able to settle this dispute peacefully, and the Chamizal National Memorial celebrates this diplomatic achievement. Besides visiting this memorial’s museum site, guests can admire the area’s art center and theaters. You can visit this center between 5:00 AM – 10:00 PM every day of the year except for Thanksgiving, Christmas, New Year’s Day, and in the event of a government shutdown. Located nearby the Franklin Mountains is El Paso’s Museum of Archeology. This museum houses an incredible collection of prehistoric artifacts found in the region, some of which date 14,000 years in the past. The Museum of Archeology also puts together many educational events throughout the year to help people get a better sense of the long history of the region. Take time to enjoy the many beautiful flowers around the Museum of Archeology before leaving. This concludes our list of the 10 best things you can do in El Paso. If you visit any of these attractions, let us know your impression of them in the comment section below!